Wittgenstein's Tractatus Logico-Philosophicus, first published in 1921, has had a profound influence on modern philosophic thought. 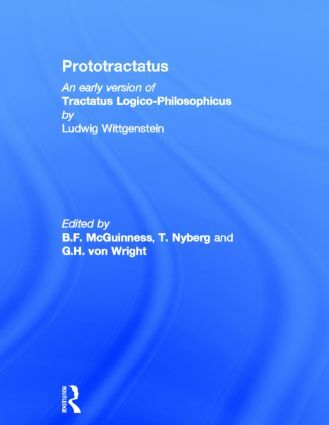 Prototractatus is a facsimile reproduction of an early version of Tractatus, only discovered in 1965. The original text has a parallel English translation and the text is edited to indicate all relevant deviations from the final version.